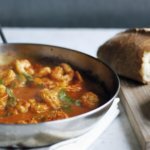 This recipe for sizzling piri piri prawns is quick and easy to make. Although the marinating is optional, it's worth it if you have the time. Piri piri, which is sometimes spelled peri peri or pili pili, is the Swahili word for hot pepper. Today it mainly refers to a hot, spicy sauce made with chili peppers. Piri piri sauce is from Portugal and it's also found in Africa. Some recipes are made in a blender or shaken up in a jar. You can do either here, or else just stir the ingredients together before adding the prawns. Perhaps you already have the ingredients in your pantry. After all, we are using staples here so if you have the prawns it's likely you have the rest of the ingredients too. 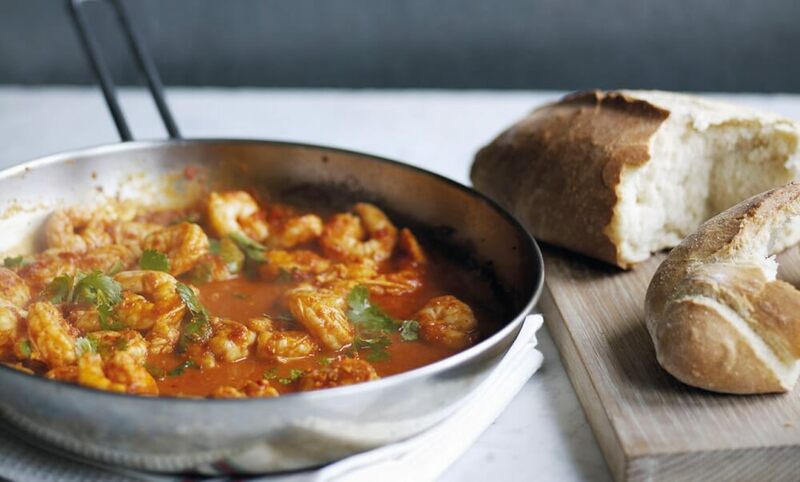 For this sizzling piri piri prawns dish, you can use medium prawns, preferably peeled. They may be tail-on or tail-off, as you like. If you prefer, you can use large prawns. This recipe makes two servings and you can make it as an appetiser or enjoy it as the main course paired with rice and perhaps a green side salad. It's pretty spicy (and it's supposed to be!) but you can reduce the amount of chilli powder if you really don't want a spicy finish. 1. Combine the chilli powder, paprika, lemon juice, garlic, salt and ginger in a bowl. 2. Add the prawns and let them marinate for an hour. 3. Heat a griddle pan and add a splash of oil. 4. Now add the prawns to the pan and cook for a few minutes, turning occasionally.